During the past few weeks, I've found myself spending copious amounts of my mornings at McDonald's. Why you ask? Well it's summer internship recruitment time - which means late nights of reading research reports and early mornings of donning my best (only) suit to explain why I'm legit enough for X Firm to hire me for three-ish months. Since I'm a poor student now and can no longer afford my $4.29 a day Starbucks coffee habit, I've downgraded my morning caffeine jolt to the McD's across the street (I've thought about in-home brewing ala Folgers, but that's just too painful of a trade down!). And you know what? 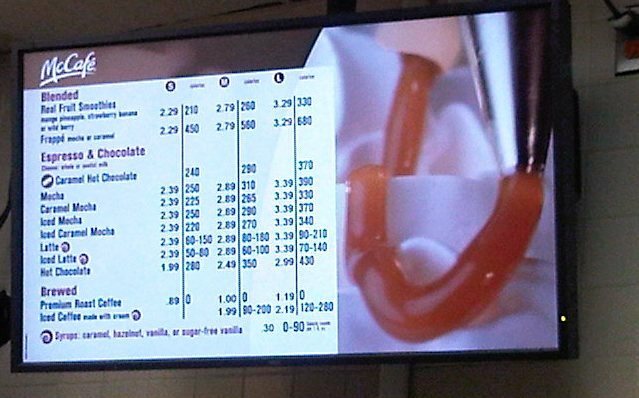 The McCafé is totally not that bad for the price you pay -- and whatever, I'm no coffee snob - as long as it keeps me awake long enough to form coherent sentences and do some math, then give it to me baby! Three words: Caffeinated Chocolate Milk. I'm thinking it was actually the insane amount of sugar in this drink that kept me going like the Energizer Bunny - cause I could barely taste any of the espresso. Anyways, the drink made the list cause it was tasty and kept me clear headed enough at 8am in the morning to discuss the economic concerns in Europe. Simple, clean and does the trick. Also very low in calories so I won't be bursting out of my suit. My go to morning item. Grand Prize #1 - Congrats Laurie Shen! Grand Prize #2 - Congrats Rachel Lewis! 1. REQUIRED: In my comments section, tell me what is your favorite McDonald's drink. Contest ended on Friday, Feb 3 at 5pm EST. Winners will be chosen via random integer generator on random.org announced on the financefoodie.com site shortly afterwards! Full Disclosure: Coupons provided by McDonald's. Arch card provided by Finance Foodie Media Productions. I was not compensated for this post. a shamrock shake, followed by a black coffee. Ronald has a nice brew nowadays. I'm a vanilla milkshake person myself. I like the chocolate shakes. My favorite McDonald Drink is their coffee!! Love the Iced Mocha. Thanks so much. I like their Yogurt Parfaits and Chocolate milk shakes. My favorite McCafe item is Strawberry Banana Real Fruit Smoothie. It is soooooo good in fact I want one right now LOL. I love their Newman's Own coffee!! I like the chocolate shake. I like the chocolate shakes! Thanks so much for the fantastic giveaway! My favorite is the Shamrock Shake. Other times of the year I like their plain coffee. My favorite drink is their unsweetened iced tea. I like their iced tea. 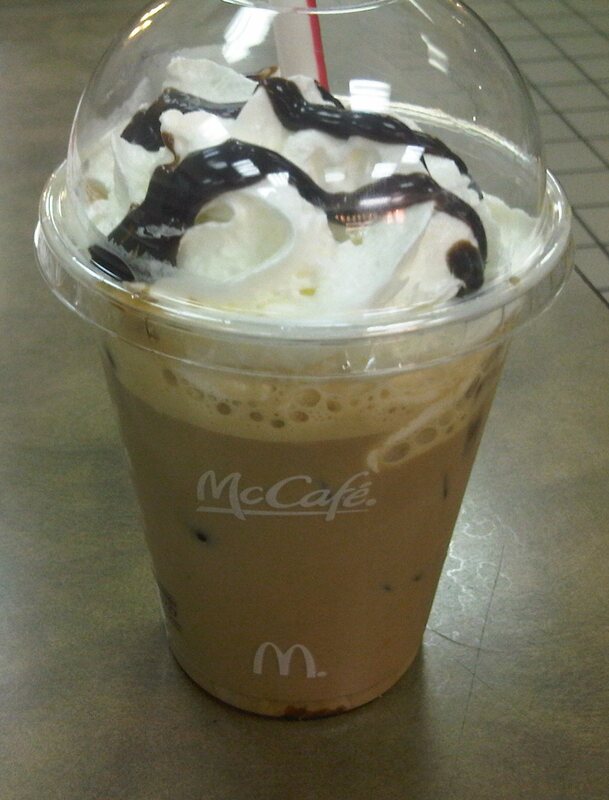 I think the drink I had was called McCafe Mocha and I loved it. My fave is the Wild Berry fruit smoothie! I love their caramel mocha Frappé! The combo of the two flavors is wonderful!!!! I like the caramel frappe. I like their chocolate shakes. I like their Iced Caramel Mocha. I love their hot chocolate. I like their iced coffee. My favorite is the Frappé Caramel but the calories...wow! 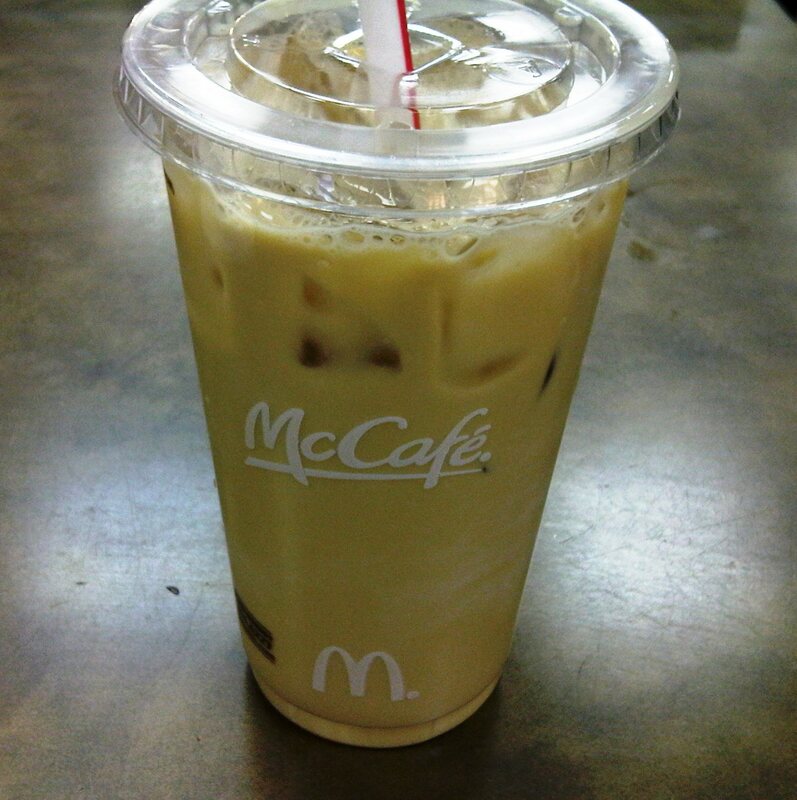 My favorite McDonald's drink is unsweetened iced tea ヅ *Thanks* for the giveaway! I'll admit to being a fan of the Iced Mocha, though the Shamrock Shakes are pretty tasty as well. My favorite is the Frappe Caramel. I like the vanilla milkshake. I love their chocolate milkshakes! I love their ice tea the best. I love their chocolate milkshake! Thanks for a super giveaway! I like the Iced Coffee. I like their coffee with a little creamer stirred in. I love the vanilla milkshakes.